And I felt myself muttering, ‘well yes, of course it bloody well will’. But as a collective of PR professionals have we really considered how that is likely to impact on the communication landscape? So, I started to do some digging. And, wow – AI is literally everything, everywhere and has absolutely 100% got everything to do with our changing industry, to the point where those that don’t embrace it will become completely irrelevant within a matter of years. No, seriously. Going back to basics. Considering what AI actually is will help to put that last point into some form of perspective. Essentially, AI isn’t just a buzz word, or the latest trend, so ignoring it, is the equivalent of a 90’s business saying, we won’t need email – before realising they’re missing out on a tonne of business opps because their operation is no longer compatible with the majority of its clients. So, if we’re going to actually try and put the unwieldly potential of AI into a smart little descriptor; in essence AI is the development of computer systems that can perform tasks that typically require input from a human (aka human intelligence). So, it’s pretty broad. I mean, if you think AI hasn’t impacted you as of yet, or has only infiltrated your life in a very small way – you’d be totally wrong. Not an exhaustive list, but if you use a smartphone, social media, music and media streaming, video games, you’ve ever seen an online ad or you’ve used a sat nav or booked an Uber – you’ve been exposed to AI! So that’s how it’s directly linked to your life, now consider how you’re indirectly using it, or how its impacting you without your knowledge. Banking, security, surveillance, you name it, AI is involved. Don’t believe me, check out this article from Beebom. In a nutshell. AI is here to stay and you are already using it on a daily basis, even if you don’t know it. 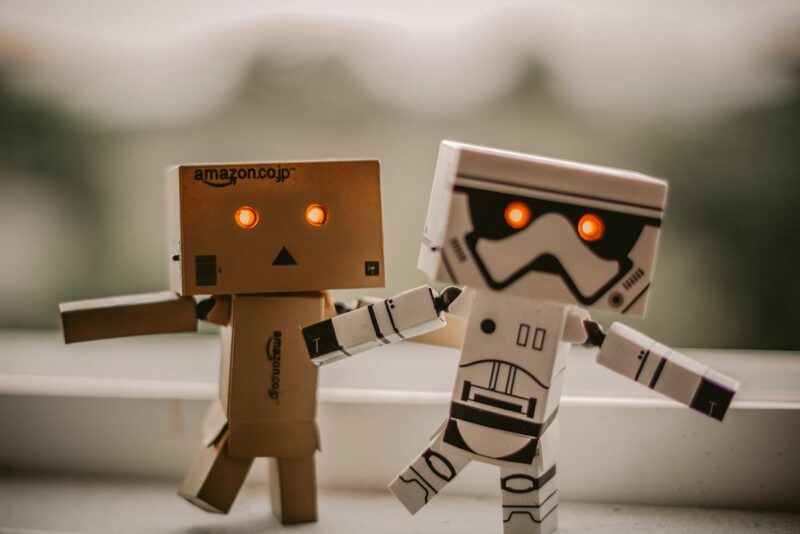 So, understanding just a fraction of the huge potential AI has when it comes to day to day life, just how will it impact the PR and wider communications industry? Well there’s the obvious, such as algorithms and social media use. We’ve all already mastered that – right? Then there’s the second step – considering audience sourcing, measurement and direct marketing in a new digital age. This is the bit we’re all adopting. We’re either ahead of the curve or riding it. Either way we’re aware of it, but perhaps not as confident with it as we are with traditional social media use. So what’s the next element? What will be the next ‘must have’ AI tactics. That’s the million pound question – right? Wrong. If we look at AI as the next big trend, we’re actually doing it a total disservice. Don’t consider the next big thing – that’s simply viewing AI as a trend. AI is actually a reality and a part of our everyday. So look at it in the collective. Consider everything you know and think about the impact AI can I have on it. This means that every single element of your PR strategy, social strategy – hell, we’re talking business strategy – needs to incorporate AI. Let’s double down and see how this will shape the future of our industry. Firstly, just like the internet and our previous example of email, the way AI will impact your PR practice, will, in the first instance feel fairly organic. It’ll creep into day to day life and before you know it AI will form a part of your measurement, communication, outreach, research etc. And with this will come with a whole host of new tools, insight and platforms to be able to push out PR activity in a way that uses artificial intelligence. However, having said that, we can all work to make the roll of AI more prominent sooner, and practically speaking to achieve this we just need to be more open to change. Of course these are rather crude example of how AI is and will be used. The point is, that AI is the king of insight in the digital marketing era – and as such it should be used and abused by PR’s as much as possible to get our message to the right people. What will AI help PRs to achieve in the future? Ultimately AI is only going to be a positive for PRs. The effective use of it will make PR more measurable, we will be able to track the customer journey like never before and begin to truly understand the real ROI of our activity – and thus quantify that to clients. What’s more, it will allow us to streamline the menial tasks like reporting, meeting notes, scheduling content etc. Add to that the persona insight you’re increasingly able to access, and content creation and strategic planning goes from informed to laser sighted. We may just be at the cusp of this new world, but it’s hard to deny its potential. So when it comes to AI, don’t just consider driverless cars and voice activated microwaves. Think about how we interact, connect and access information day in and day out. Because, regardless of whether or not you’re willing to embrace it, AI is happening and it won’t stop until you no longer recognise the industry.